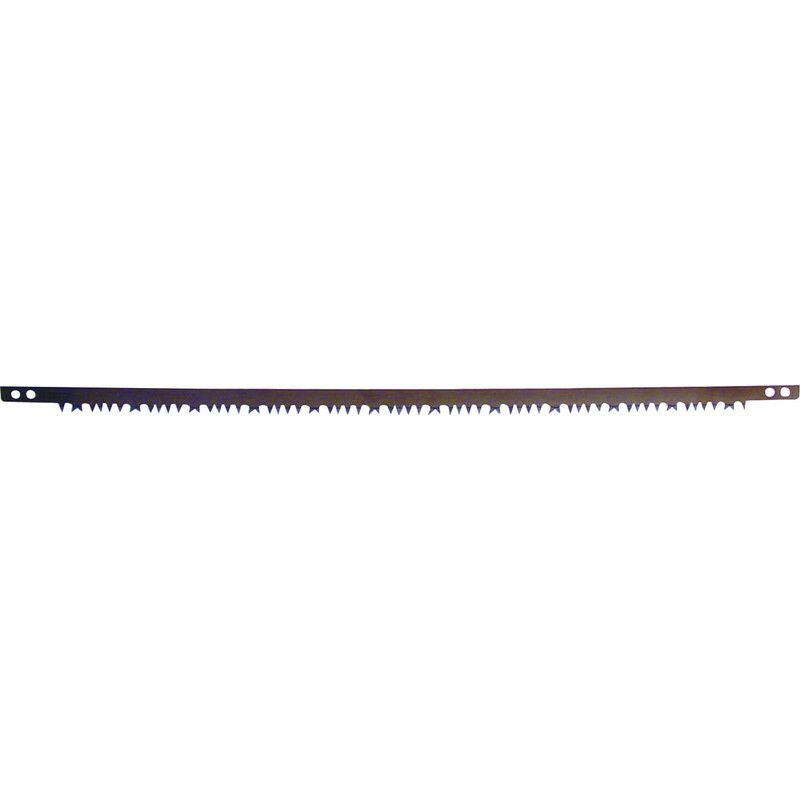 Bow Saw Blade 750mm is rated 3.3 out of 5 by 9. Rated 1 out of 5 by Timberman from Completely useless This is the first time I have purchased a replacement blade from Toolstation and it will be the last. The blade has insufficient set on the teeth to produce a cut wide enough that the saw doesn't jam. The teeth are visibly unevenly ground so that it cuts in a curve so severe that it cuts at almost 45 degrees. I would never ever buy this blade, made by Silverline,again. Rated 1 out of 5 by JeremyBullfrog from waste of time Bought blades for pruning trees and large shrubs, shame! Blades are wickedly sharp but the teeth are all set incorrectly so when the saw doesn't jam it cuts in a half moon on anything bigger than a 4 inch branch! Only cheap, but a exercise in wasting time. Rated 1 out of 5 by Bugeac from Poor cutting I bought this blade to complement the previous purchase of a 2ft blade to cut larger diameters. Unlike the shorter blade the kerf is too small to efficiently remove material and the blade jams easily. Rated 4 out of 5 by smithcn from Did the job I bought it for Bought this blade to fell and cut up a mature cherry tree and it did the job very well. Have since used it to cut back scrub trees in a hedge. It did what I expected it to. Price was very reasonable and the service in store when I bought it was good.